Ramboll’s growing presence on the Rock enhances Environmental and M&E engineering capabilities. The British Ministry of Defence owns and operates the runway, and the Government of Gibraltar operates the passenger terminal. These works have contributed to Gibraltar’s continuing economic development, ensuring the future safe operation of the airfield as a civilian airport for commercial flights, and demonstrated the MoD’s commitment to maintaining RAF Gibraltar as a base for UK defence operations. 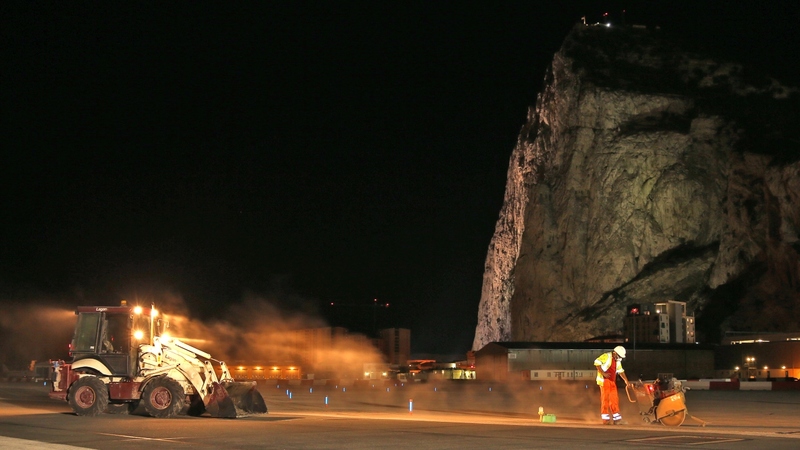 At a ceremony within the RAF base, the runway was formally handed over to Commander British Forces Gibraltar, Commodore Ian McGhie RN, and the Deputy Chief Minister, Dr Joseph Garcia, by Steven Turner, International Project Director for Lagan International, the contractor responsible for the resurfacing works. The runway is famous for crossing an operational highway, Winston Churchill Avenue, which is currently the only road linking Gibraltar to mainland Spain. It must be closed to traffic during flight arrivals and departures, which can be more than 15 times a day. All works were undertaken overnight between the hours of 10pm and 10am allowing the airport to remain fully operational throughout the day, and to minimise disruption to flights. Raw materials, plant and equipment had to be imported by road, sea and air. Due to the lack of onsite storage and laydown areas, all deliveries had to be scheduled to coordinate with the project works programme.